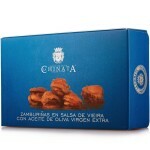 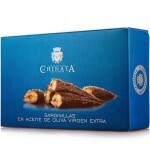 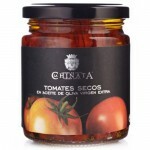 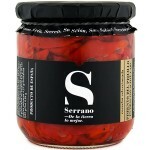 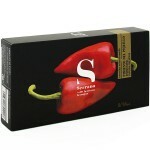 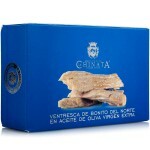 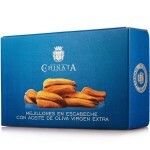 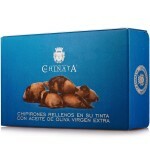 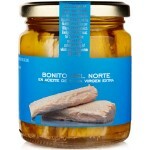 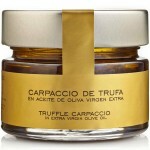 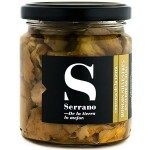 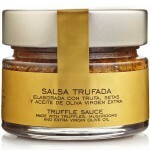 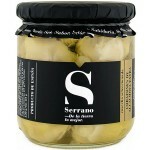 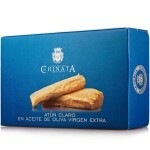 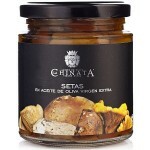 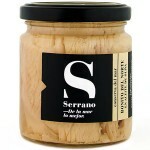 Truffle Sauce by La Chinata Delicious Truffle Sauce, made with truffles, wild mushrooms and La Ch.. 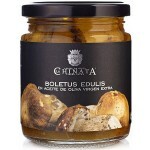 Truffle Carpaccio in Extra Virgin Olive Oil by La Chinata This Truffle Carpaccio in Extra Virgin ..
'Dried Tomatoes in Extra Virgin Olive Oil' by La Chinata... Sun dried tomatoes, so import..
Wild Mushrooms in Extra Virgin Olive Oil by La Chinata The great demand for mushrooms in gastrono..
Porcini Mushrooms in Extra Virgin Olive Oil by La Chinata Porcini Mushrooms (Boletus Edulis) are ..
White Tuna in Extra Virgin Olive Oil by La Chinata This White Tuna in Extra Virgin Olive Oil by L..
Pickled Mussels in Extra Virgin Olive Oil by La Chinata La Chinata introduce their new range of p..
'Zamburiñas' (Variegated Scallops) in Scallop Sauce with Extra Virgin Olive Oil by La..
Light Tuna in Extra Virgin Olive Oil by La Chinata La Chinata introduces its new range of preserv.. 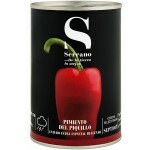 Stuffed Squid in Ink with Extra Virgin Olive Oil by La Chinata La Chinata introduce their brand n..
Baby Sardines in Extra Virgin Olive Oil by La Chinata La Chinata introduce their new range of pre..
White Tuna Belly in Extra Virgin Olive Oil by La Chinata This White Tuna Belly (Ventresca, as it ..
Red ‘Piquillo’ Peppers (Whole) by Serrano Serrano, a Spanish family business founded ..
Red ‘Piquillo’ Pepper Strips in Olive Oil and Garlic by Serrano Conservas Serrano is ..
Porcini Mushrooms in Extra Virgin Olive Oil by Serrano Conservas Serrano is a Spanish family busi..
Artichoke Hearts 'Extra' in Brine by Serrano Serrano is a Spanish family business founded..
White Asparagus ‘Extra’ (PGI Navarra) by Serrano Serrano is a Spanish family business..
White Tuna in Olive Oil by Serrano Serrano is a Spanish family business founded in 1880, which af..